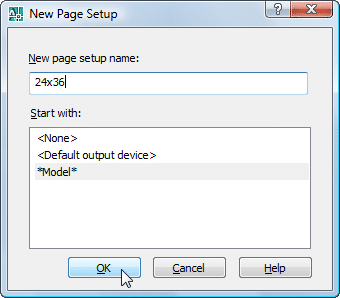 Since we’ll be using the PUBLISH, not PLOT, command to create our DWF, we need to start by creating a named page setup. 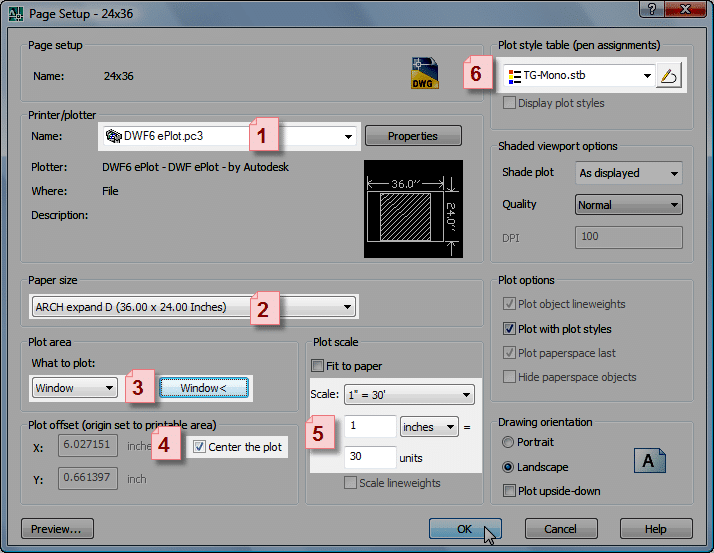 The main purpose of this is to assign things like which pen table & paper size to use. From model space type “PAGESETUP” at the command line. 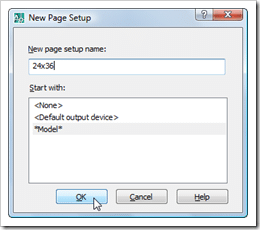 Click the [New] button from the Page Setup Manager dialog. Give your Page Setup a name, and press [Ok]. For this example I’ll name mine 24×36. After pressing [Ok] you will be presented with a dialog that if not for it’s slightly different title would be called the PLOT command. In my case I am creating a DWF from model space. For that reason I will need to configure things like my scale (which for plots from a layout tab is 1:1), and possibly a window. Now that we have a named page setup we can proceed to actually creating the DWF itself. 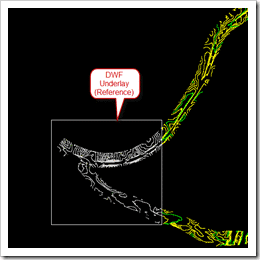 While you can certainly create a DWF from the PLOT command, you cannot create a georeferenced DWF from the PLOT command. Instead we’ll have to use the PUBLISH command. Go to File > Publish or type PUBLISH at the command line. With the Publish dialog open, I am going to assign the named page setup (24×36 in my case) to my model space view. Next I’ll want to tell AutoCAD to Publish to a DWF file, and then click on the [Publish Options] button. From the resulting Publish Options dialog, I can specify whether or not to include layer information [DWF Data Options]. Important for the purposes of this post is the Map Information option under the Map Options heading. We’ll need to change that to Include. I am finally ready to create my DWF file, and can click the [Publish] button. 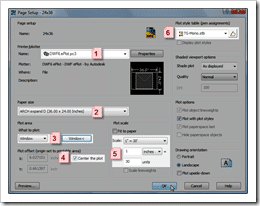 AutoCAD will proceed by creating your DWF file. The time it takes to do this will vary based on variables such as your machine, DWG file size, etc. 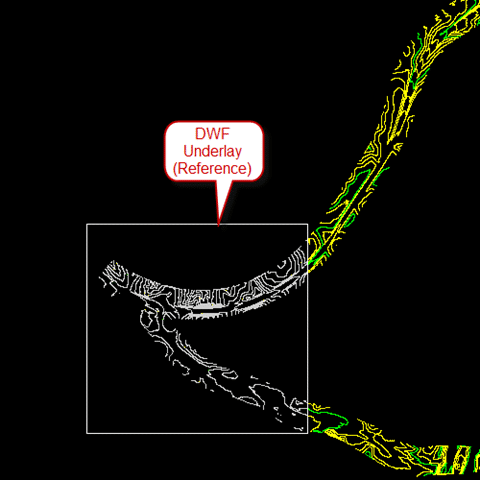 Now that I have created a georeferenced DWF, inserting it into a drawing is a snap. Simply go to the Reference Manager (XREF command), specify an insertion point of 0,0, and your DWF will magically insert in the proper location. As long as you publish from the model tab, you can also connect to your favorite GPS unit in Design Review to pin point your location on the map as you drive around.